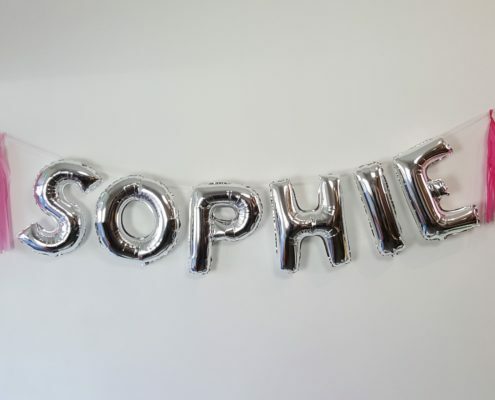 We also have big 40″ Megaloon balloons that come in all letters, numbers and characters. 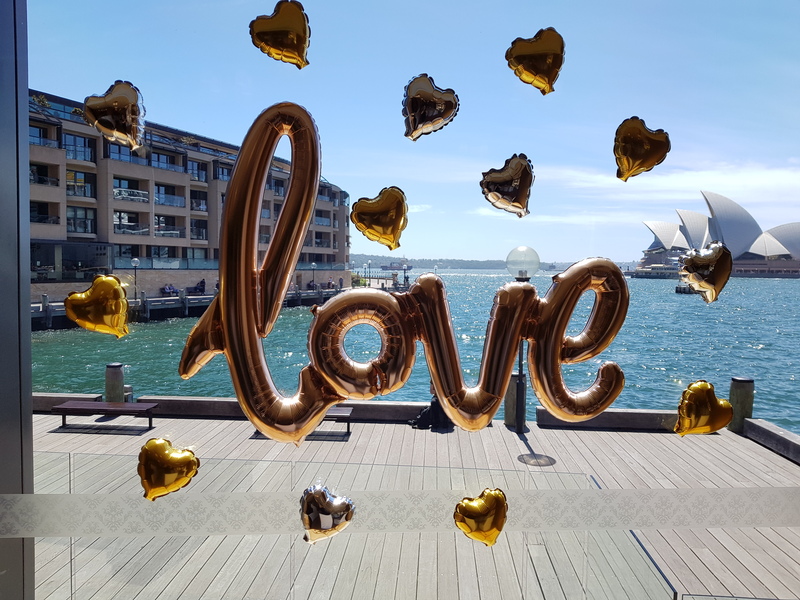 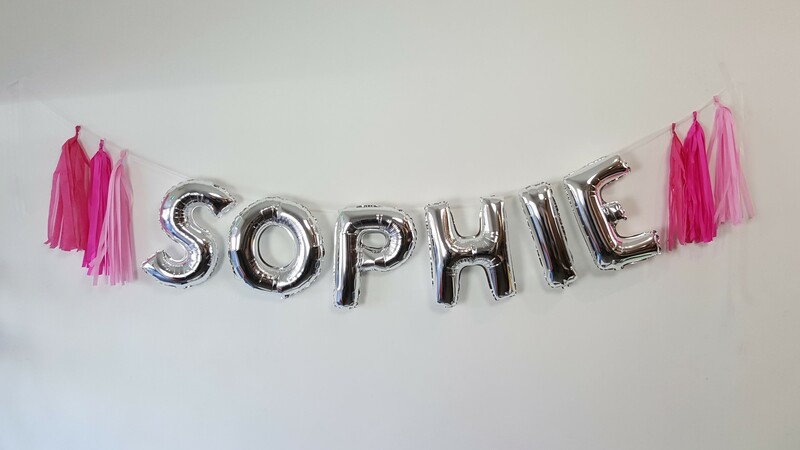 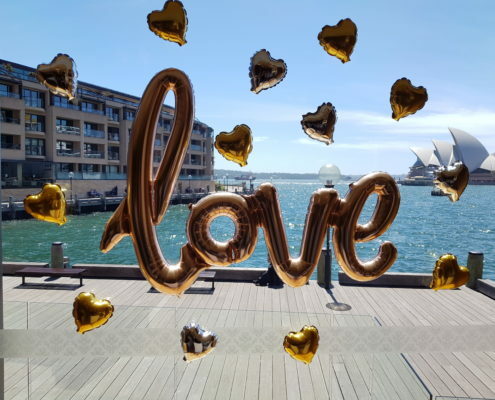 Some balloons can only be air filled, such as our Microloons and Script balloons (displayed below). 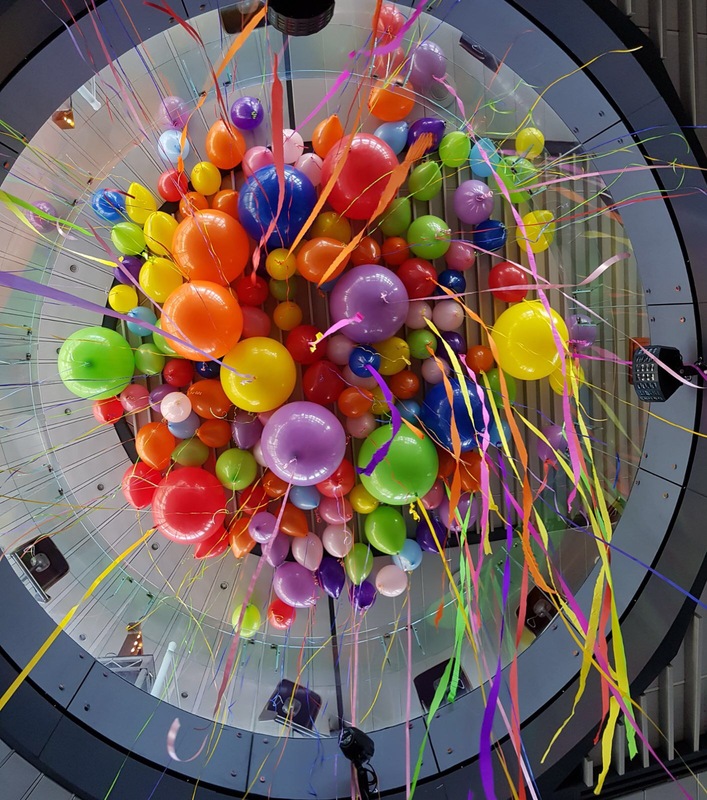 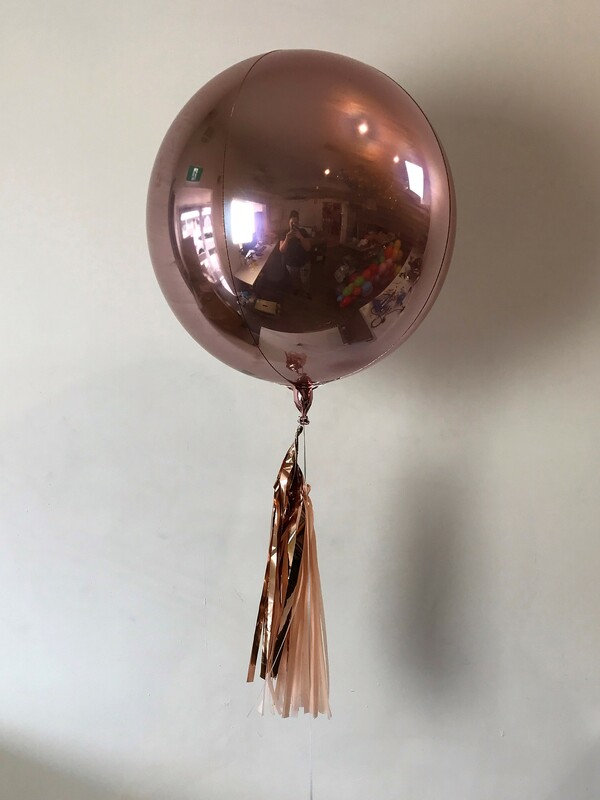 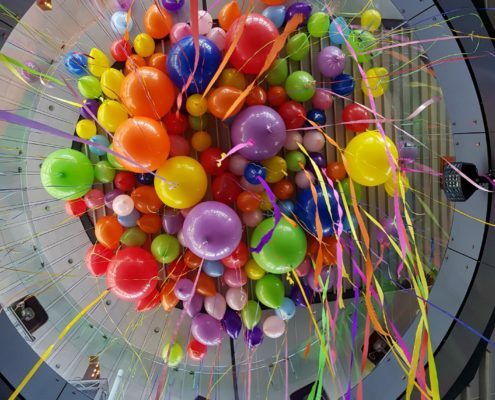 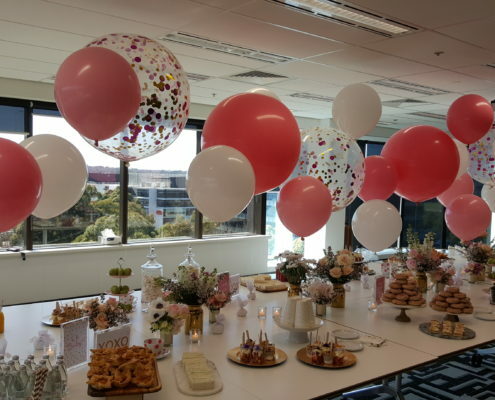 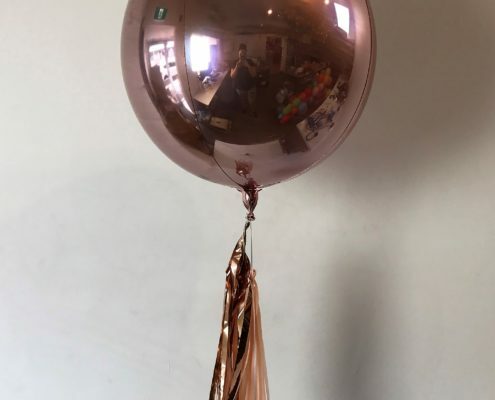 Our 20″ Orbs can be air filled and added to garland, or helium filled and added to arrangements. 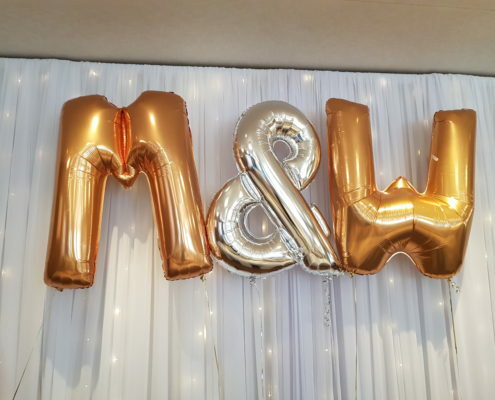 Their mirror finish gives off an incredible shine and is a great way to add a bit of flair to your event! 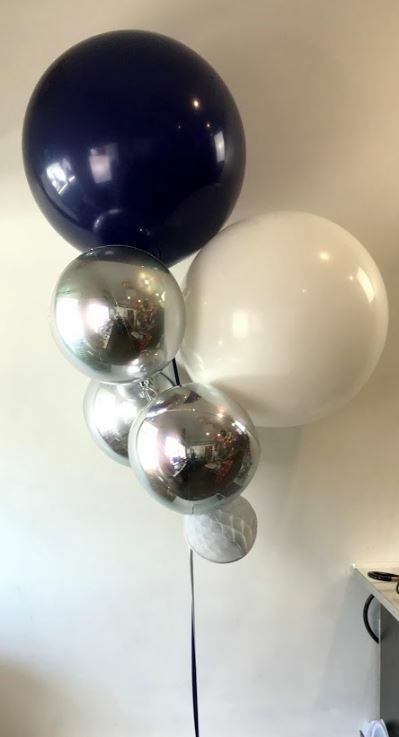 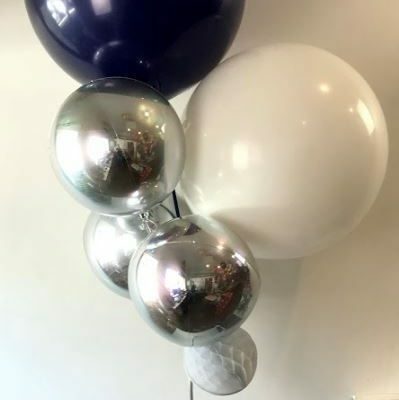 Below are examples of the different sized balloons when arranged together. 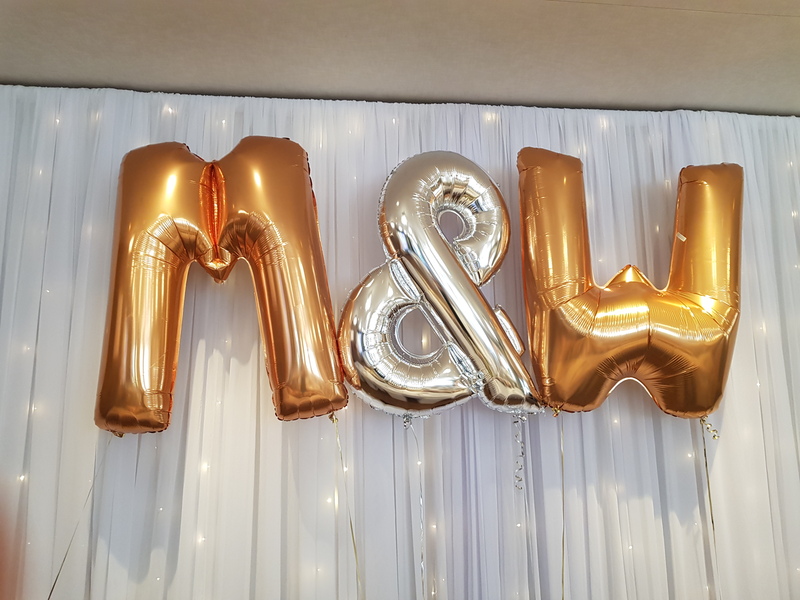 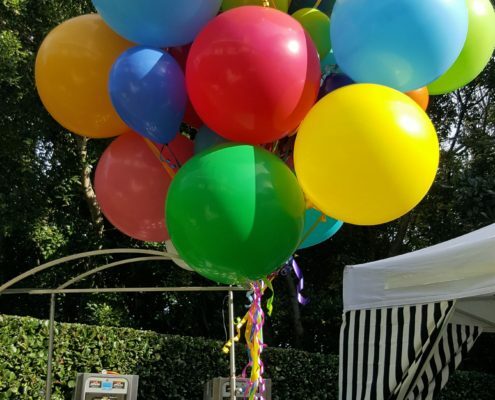 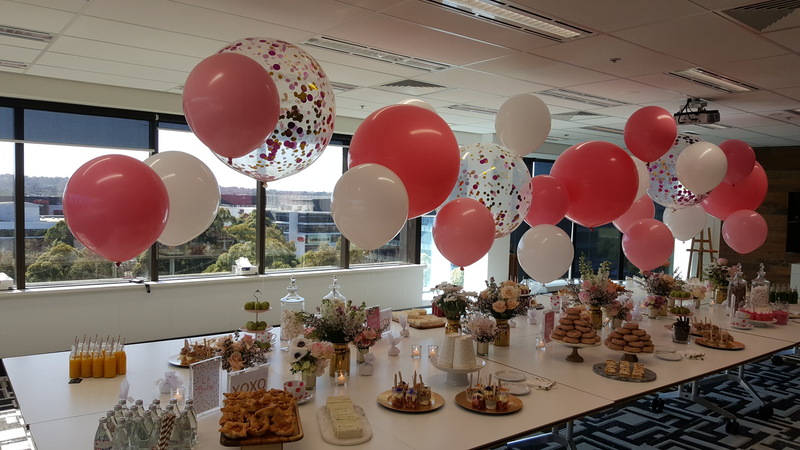 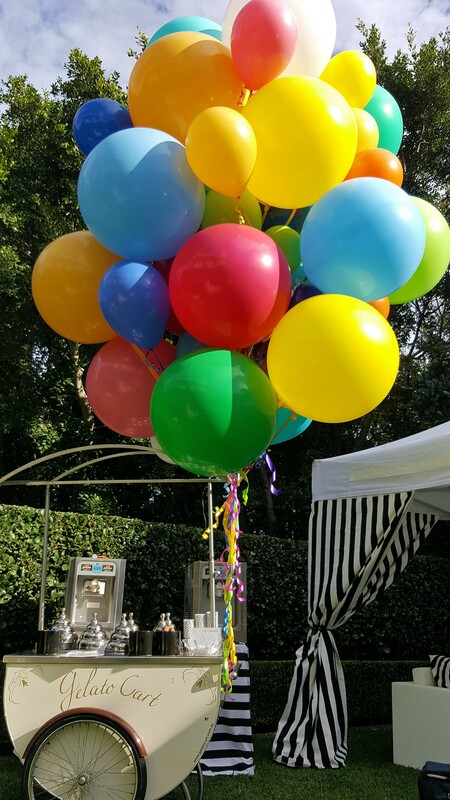 Varying the sizes of the balloons definitely adds excitement and interest to the arrangements and makes your event decor even more unique!